The concept of dynamic teaching is inspired by one fundamental observation: The best way to learn is to get actively involved in the activities. Learning should not be passive. (Nilson, 2010). We will see how dynamic teaching can be set up quite simply. The time has come to switch from a teaching centred on the actions of the teacher to a dynamic learning method, centred on the actions of the pupils. This means that the pupils are active, are involved in what they are learning. This implies adopting a whole new approach to a lesson so that they are not just waiting, not just listening. On the contrary, they must actively participate in different ways. They must read, write, discuss and take part in activities that force them to think. Role play and simulations, etc. can also be introduced. Pupils will learn more effectively and they will have a better understanding of the key concepts of a lesson if they are pro-active and prompted to think through the use of dynamic strategies. 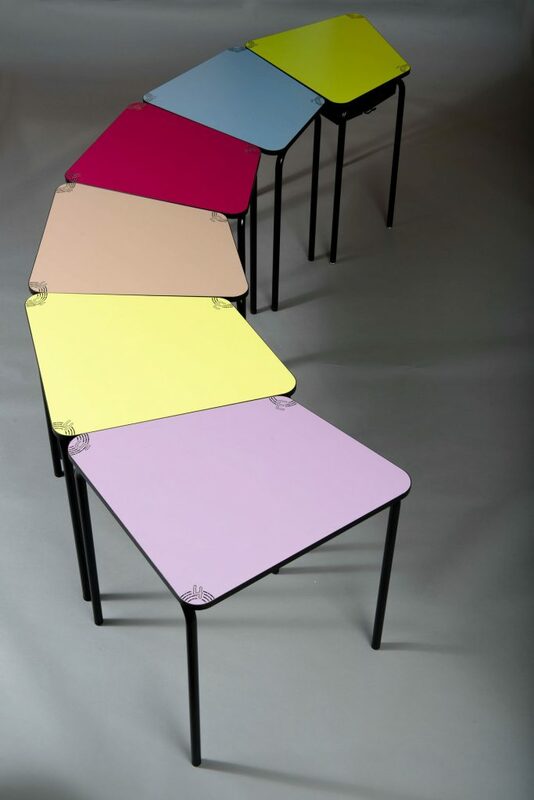 The 3.4.5. school table, designed for dynamic environments. The freedom and choice to set up your space according to your needs. Collaborative activities are an effective way to increase pupils’ participation and interaction. In the course of group activities, pupils feel more supported in their learning and have the impression of doing more things than if they were working individually. Several strategies can be envisaged, depending on the objectives to be achieved. Some are simple to set up, in fact, you could already be using them. The key is simply to alternate effectively between the traditional teaching times and the dynamic teaching times. Another difficulty is managing these exchanges between the pupils, so that they always remain effective. Finally, some classrooms are not equipped to encourage collaborative work. It may be worthwhile revamping the classroom. This is where the 3.4.5. 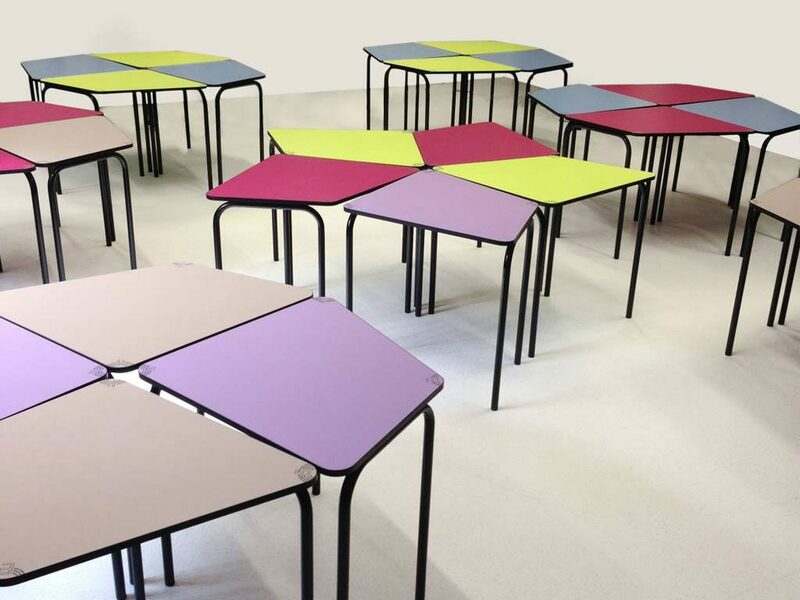 Program comes into play, our school furniture that facilitates dynamic learning. Find out more in the next article.